Check out this extended preview from MAN ON A LEDGE opening in theaters this Friday. 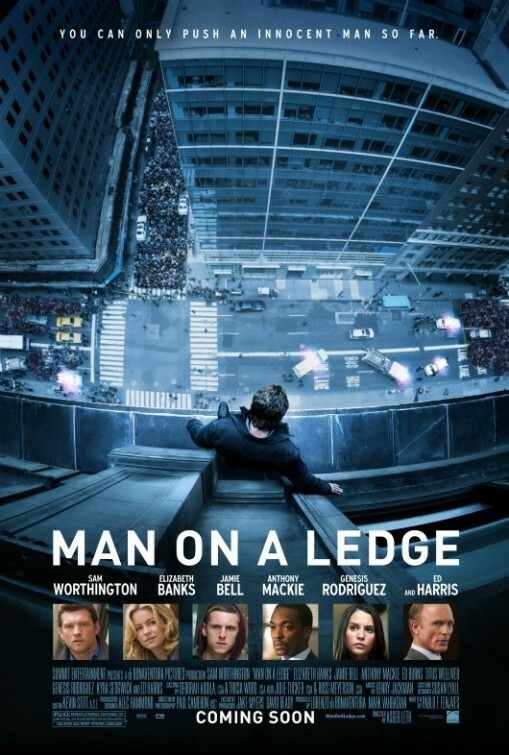 In the heart-pounding thriller "Man on a Ledge," Nick Cassidy (Sam Worthington) makes a desperate and life-threatening move to prove his innocence after he is framed for the theft of a rare, prized diamond. Recently escaped from prison and with nowhere else to go, Nick climbs onto the ledge of a towering skyscraper, inviting the eyes of New York City to anxiously watch as one wrong step could mean plunging to his death. But as one police negotiator soon learns, Nick's daredevil stunt, captivating the eyes of the public and media, masks a dangerous ploy to reveal the truth about his tarnished name.With the help of his brother and with time running out, Nick's intricate plan must work perfectly, but when you're on the 25th floor ledge of a building, going down takes on an entirely more hair-raising meaning. 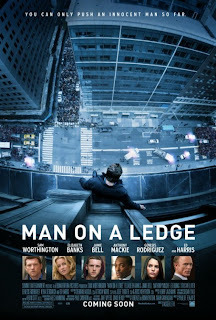 With unpredictable twists and electrifying turns, "Man on a Ledge" features an amazing ensemble cast including Elizabeth Banks, Jamie Bell, Anthony Mackie, Edward Burns, Genesis Rodriguez, Kyra Sedgwick, and Ed Harris.